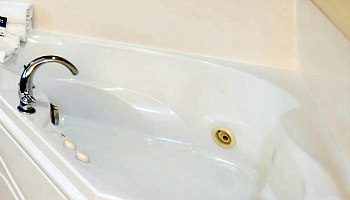 After a day of travel in Michigan, checking into a hotel room with a JACUZZI® tub is the perfect ending. 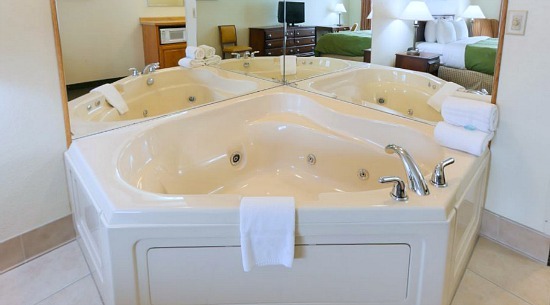 So here's a review of romantic Michigan hotels and inns with hot tub suites and heart-shaped tubs in all four corners of the state, including Detroit, Grand Rapids, and vacation spots near the Lake Michigan and Huron shore. 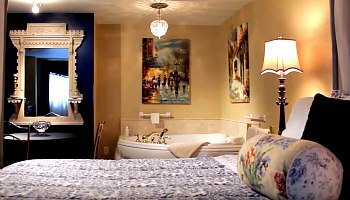 Why This Guide to Michigan Hot Tub Suites is Different: We list only hotel rooms and B&B's with jetted spa tubs right in the room for the ultimate in romance and privacy. Have a great getaway! Kingsley House - couples looking for accommodations near Lake Michigan can check in at the award-winning Kingsley House. 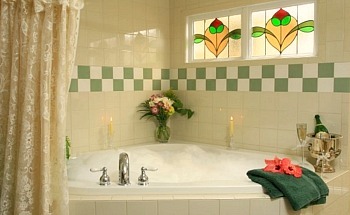 The Cider Nook and Braeburn Junior Suites are honeymoon ready with heart-shaped jetted tubs. 2017 ERV Rating* for Saugatuck MI Spa Tub Suites: 96% - Excellent. (near Saugatuck, MI at 626 West Main St, Fennville, MI 888-543-4384). Inn at the Park B&B - selected King Suites at this romantic South Haven, MI B&B are highly recommended for honeymoons or anniversary getaways. There's canopy beds, fireplaces, flat screen TVs and large in-suite hot tub for two. 2017 ERV Rating* for South Haven MI Hot Tub Suites: 89% - Very Good (233 Dyckman Ave, South Haven MI 269-639-1776).